Prime Minister Narendra Modi Monday hit out the opposition for questioning his statement that the presence of Rafale fighters would have given greater firepower to the IAF during the February 27 aerial engagement with Pakistan. "I said if Rafale was acquired in time it would have made a difference (during the February 27 dogfight), but they say Modi is questioning our air force strike," he said, addressing a gathering here. "Please use common sense. What I said was if we had Rafale at the time (of aerial dogfight), then none of our fighter jets would have gone down and none of theirs saved," he added. 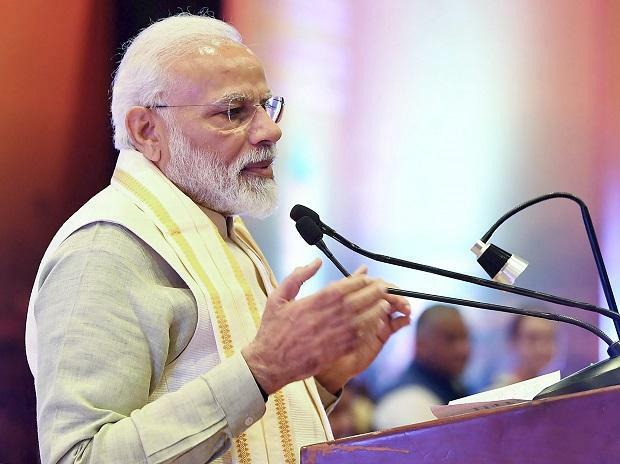 Lashing out at statements from opposition party leaders who demanded proof of the February 26 air strike on a Jaish-e-Mohammed terror camp in Pakistan's Balakot, Modi said his objective was to end terror while that of the opposition was to remove him. "The root of terrorism disease is in the neighbouring country, should we not cure the disease from its root," he said. "Even if mentors of those seeking to destroy India are outside, this country won't sit quietly," he said, addressing a gathering after inaugurating an annexe building of Guru Govind Singh hospital and various other development works here.